Micropulses of electrical current are sent through the specially designed earclip electrode targeting the vagus nerve. 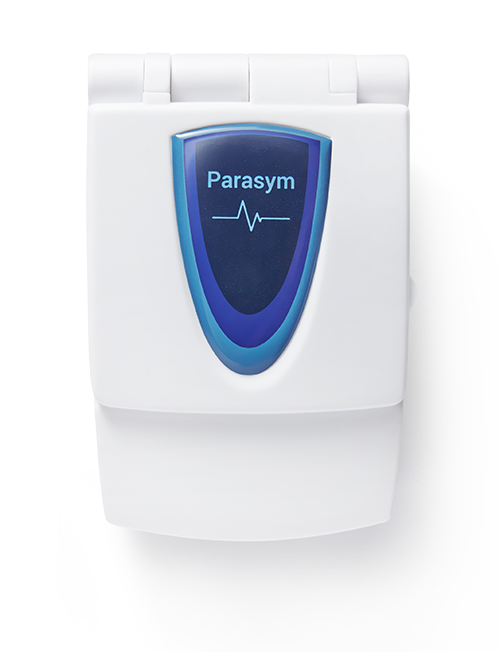 Parasym developed this device to empower people to gain control over their health and live their best life. The Parasym™ Device is now being used in leading health and academic centres for clinical practice and new fields of research. Unlock the power of your Vagus Nerve today.